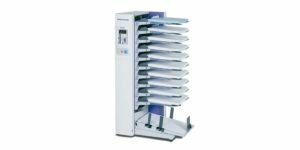 The 10-station Standard Horizon VAC-1000 Collator features a patented rotary-pulse vacuum feed system, providing flawless feeding on virtually any stock, at speeds up to 9,900 sets per hour. 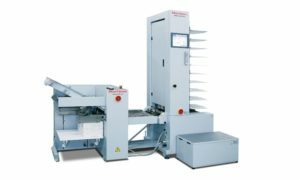 The Standard Horizon VAC-600 deep-pile Collator has five inches of bin capacity allowing for less frequent reloading of paper and long-run production efficiency and productivity. 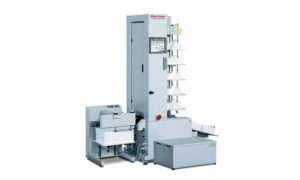 The Standard Horizon QC-S30 Entry-level Collator is one of the worlds fastest tabletop friction feed collators, and can be built into a 3-tower tabletop friction feed collating system.